Offering a decadent and sweet alternative for candied and chocolate-covered nut aficionados, the Chocolate Nut Assortment features three unique gourmet varieties. 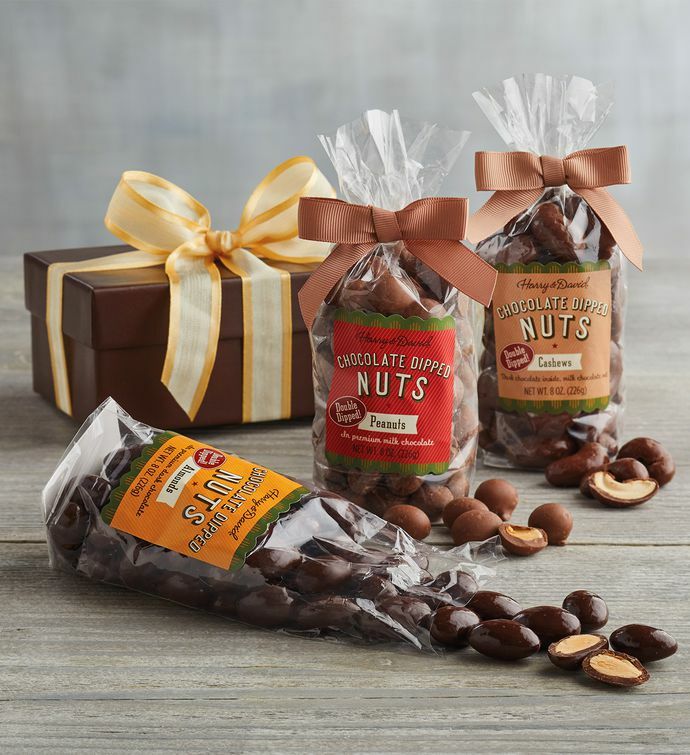 Fresh, whole nuts are used in each selection of dark chocolate double-dipped almonds, milk chocolate-dipped peanuts, and chocolate-dipped cashews. Individually packaged and beautifully presented in a gift box with a hand-tied ribbon, it's a great gift or a perfect treat for any occasion.